Rose and I could not wait one more day to tell you all about our AMAZING Design Indaba Conference experience this year. I will be sharing my thoughts on Day 2 of the conference with you first, as Rose is currently quite busy with some urgent design work and has not find the time to scribble down her impressions of Day 1. Day 2 of the conference kicked off with Steven Heller – an art director, journalist, critic, editor and author who served as art director at the New York Times for 33 years. An avid Collector, Heller passionately gathers everything from razors to triptychs, posters, letterheads, rare books & magazines, propaganda material, figurines, and other period-based symbols of pop culture and counter-culture. In this, he attempts to chronicle the history of Graphic Design. Raised in an Italian household where most, if not all, social activity and conversation revolved around the kitchen table, the transition to food packaging and restaurant identities seemed the perfect fit for graphic designer Louise Fili. To this day Italy still serves as her greatest inspiration – not only in typography but also in gastronomy. Fili has authored and co-authored over a dozen books, many of them with her husband, the design historian Steven Heller – jeez, talk about a creative power couple! She was art director of Pantheon Books from 1978 to 1989, where she designed over 2000 book jackets. She even added her own creative touch to boring copyright pages – a practice that was frowned upon. Fili prefers the graceful charm of vintage typography in eras-passed and uses letterpress wherever possible stating that it offers a tactility that is appetising. 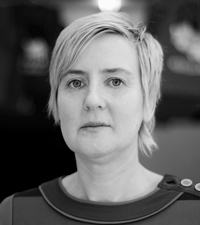 Jeanne van Heeswijk calls herself a visual artist specialising in interaction design… yet she is so much more that that. She is a social cheerleader, a catalyst for community transformation and change. She enters struggling communities and neighbourhoods, gets on her soapbox (sometimes literally), and asks the hard questions – often creating a public brainstorming session with local passers-by. So doing she motivates inhabitants to take action and become a shaping force in their own neighbourhoods. I was immediately reminded of South Africa’s own community upliftment and social involvement initiative, LEADSA. Like VISI commented: “(Jeanne) spoke directly to something South Africans could identify with: how to inspire communities to take back their neighbourhoods.” We must be the change we want to see. 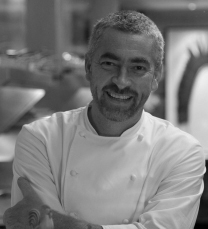 Alex Atala is an acclaimed Brazilian chef whose work is concerned with traditional Brazilian cuisine, using native ingredients. It is his desire to capture the flavours, colours, textures and even smells of what it was to eat in Brazil (he even travelled into the Amazon rainforest to source traditional ingredients and do research). Atala’s restaurant, D.O.M. in São Paulo was rated the 4th best restaurant in the world in 2012. He often includes burnt flavours or carbonized herbs to his menu as he thinks the delicious burnt smells and flavours of grilled meat (‘n lekker ou braai!) is a traditional base culinary flavour – not only in Brazil but all over the world. Atala also went on to say that one of the main problems with the current food production industry is waste. “Your grandma used to kill and used every last piece of a chicken – now that is sustainable!” he said. Today we just pick up the phone and order ten beef fillets… what happens to the rest of the cow? – this is waste. Whilst designing a fashion retail store, he convinced the owners to give him the budget they were going to spend on stock images for the store walls as he thought it to bland and commercial. Instead he took money and threw a massive party in the store a day before the launch, asking all party-goers to paint a wall. The result: a totally unique store interior… and everybody had a smashing time. 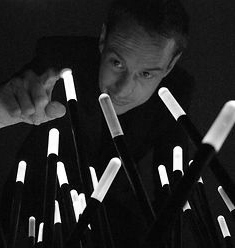 The most exciting speaker of the day would have to be innovator and interaction designer, Daan Roosegaarde. 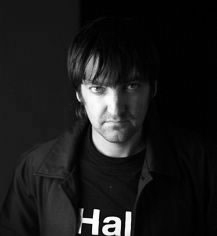 Daan, who describes himself as a “hippy with a business plan”, calls what he does “Techno Poetry” – a fusion of innovation and imagination. A perfect example of this is Dune, a project which encourages visitors to be participants instead of observers. Dune, a collection of futuristic reed-like structures, consists of hundreds of fibres, microphones, sensors and speakers which lights up and responds intuitively to the sounds and motions of the passing public. Other AMAZING Studio Roosegaarde projects include a sustainable club dance floor which generates electricity by garnering the energy created by club-goers dancing on it, and a wondrous a high-tech fashion garment that becomes more or less transparent in response to your heartbeat;.